Jill and I were both supposed to go to Orlando for a baby shower this weekend, but because of some issues with our roof, I had to stay home. While she was out of town, I took the opportunity to replace the light fixture in the kitchen (which will hopefully help with taking photos for this blog), watch Ninja Master with the Halladay and Heddings families, and eat beef (aside from the occasionally crumble of bacon, Jill doesn’t eat red meat). 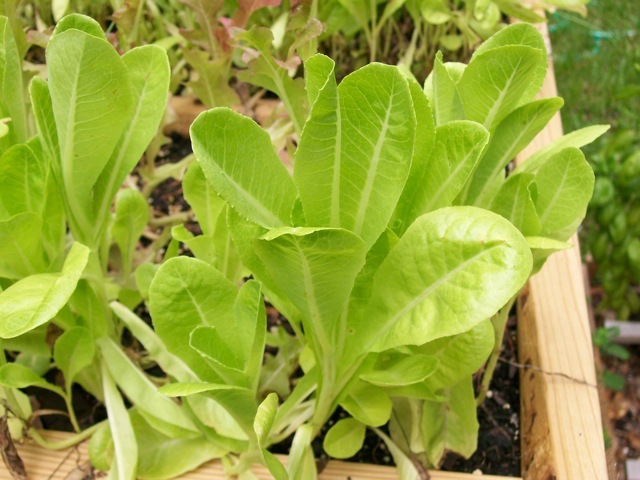 Since I still have a variety of lettuces growing in my back yard, I cut and washed just enough fresh lettuce for me. I then seasoned some beef that I picked up from New Leaf Market. 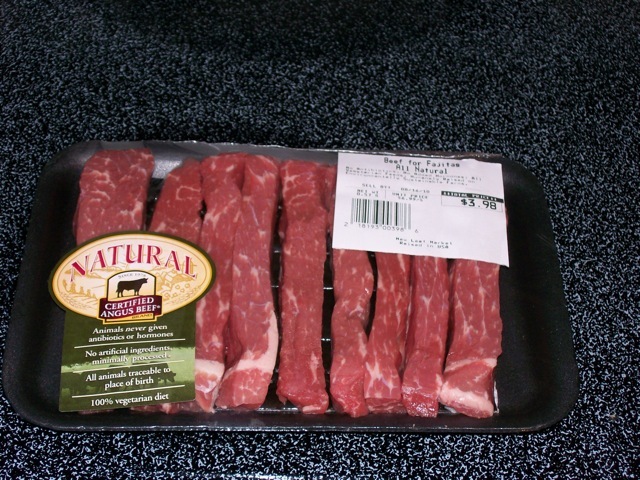 To save time, I bought beef cut for fajitas. I seasoned the beef with a little salt and pepper and sautéed it in a non-stick skillet with a little oil (about 1 tsp). 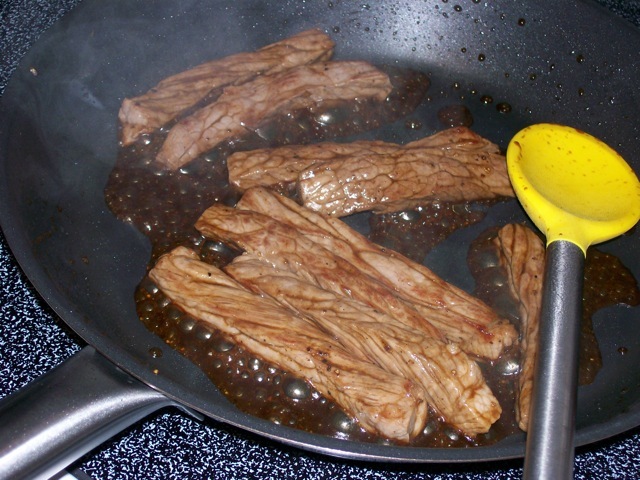 While cooking the beef, I added a couple of dashes of worcestershire sauce (probably about a tablespoon) and let it reduce down in the skillet with the meat. When the beef was cooked how I like it (medium), I took it off the heat and let it rest. 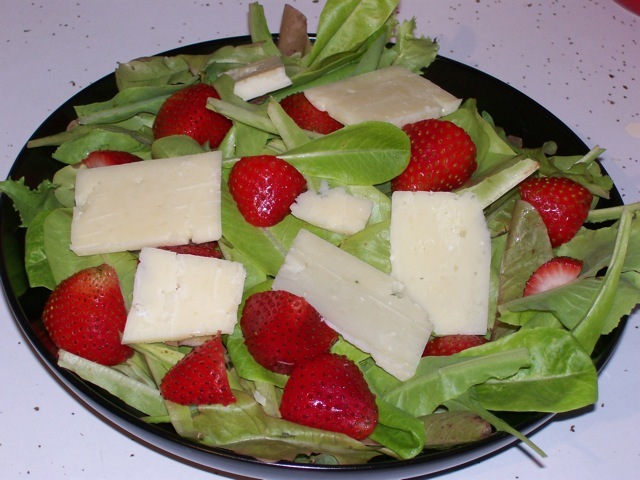 While the meat rested, I cut strawberries in half and added them to the lettuce. I also added thin slices of parmesan cheese. I am a huge fan of the strawberry-parmesan cheese flavor combination. 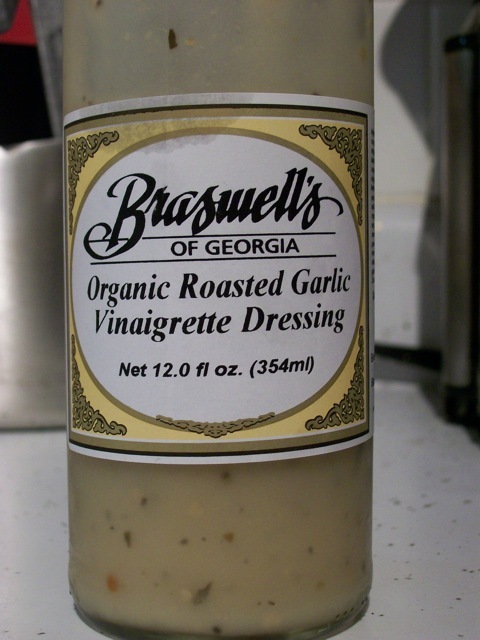 I thought about making a vinaigrette, but remembered that I had bought some roasted garlic salad dressing from Tomatoland. 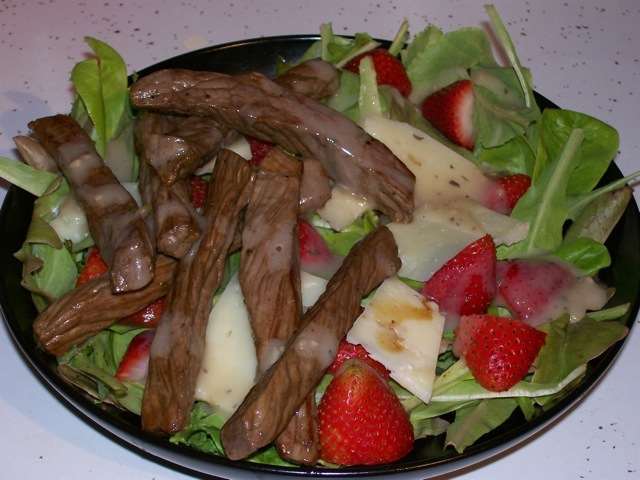 I added the steak and dressed the salad. This was a quick and light lunch that satisfied my desire for beef and left me plenty of time to play Xbox before Jill got home.